Two men stole cash and jewellery from the elderly woman's house in West Lothian. A pensioner has been robbed in her home by two men wearing balaclavas. 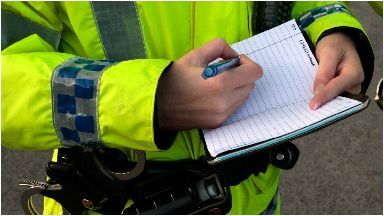 The men confronted the woman, who is in her 80s, at a property in Breich, West Lothian, at around 7.40pm on Thursday. They escaped with a number of items, including a three-figure sum of cash, women's jewellery and a man's watch. Police are appealing for information about the incident, which happened at a property in Blinkbonny Gardens. The men both spoke with Scottish accents and were dressed all in black and were wearing black balaclavas. Detective constable Krista Tench said: "This was a frightening experience for the woman who came across these two men. Fortunately she was not injured. "We are appealing for anyone who saw anything suspicious in the area, before and after the incident, to get in touch. "We would be interested in speaking to anyone who may have seen a suspicious vehicle in the area."